Rather than censor himself, Cui Jian chose to not perform at all. Chinese singer, Cui Jian, who is known for performing a song that became the anthem for the Tiananmen Square protests, cancelled his planned performance for China’s Spring Festival Gala on China Central Television, which attracts millions of viewers. Cui decision to pull out came after organizers reportedly told him that he could not perform “Nothing to My Name” – the same song that he sang in front of Tiananmen Square protesters in 1989. Cui decided to quit the show because he did not want to perform an alternative song, according to his manager, You You. The move was met with praise by some members of the public. “You are the backbone and gall of this land. Your music is the hope and despair of this country,” wrote Mongolian singer Daiqing Tana, who is based in Beijing. Cui’s invitation to perform at the Spring Festival Gala comes after the Chinese Communist Party lifted a ban on him that lasted several years. 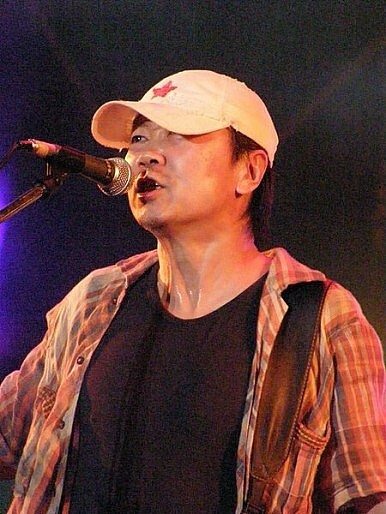 Following his band’s controversial performance of the 1986 hit during the Tiananmen Square incident and a 1990 concert in which criticized the Sino-Vietnamese war, Cui’s music career suffered. For many years he was barred from performing on any official stages and kept a low-profile with small performances at bars and tiny venues. The Spring Festival in China, which is also known as the Lunar New Year, is the country’s most important holiday. Families traditionally gather around the television set to watch CCTV’s “Spring Festival Eve Gala,” the variety show with the highest ratings in China. In recent years, however, the program has lost appeal among audiences, especially younger viewers, due to its patriotic songs, Communist Party slogans and cheesy skits.